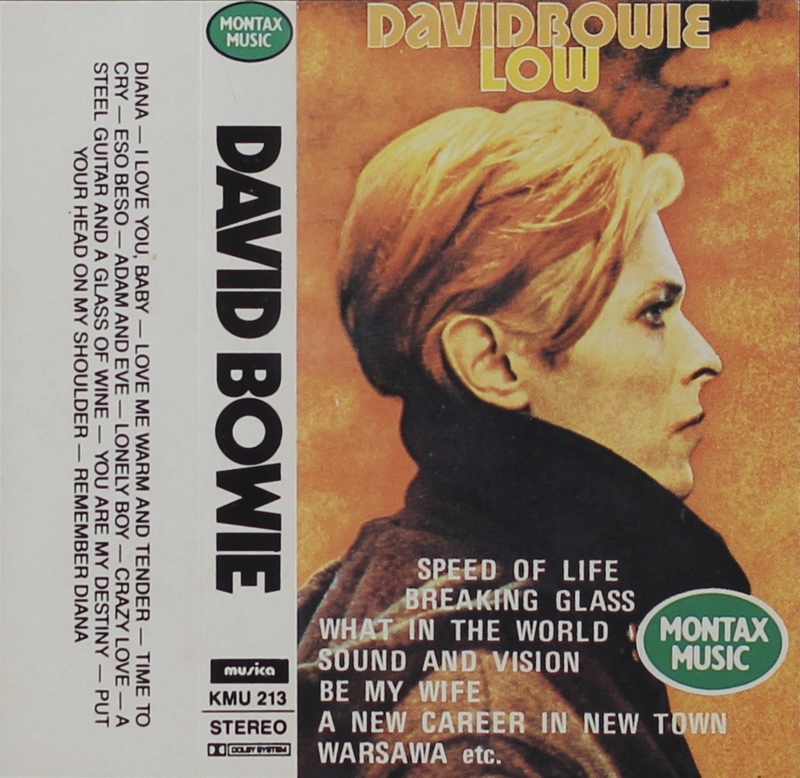 Low: Sweden; Montax Music/ Musica; KMU 213; 1984. Full panel cover photo with white spine and rear half-panel. The cover has a ‘Montax Music’ logo incorporated on the bottom right and the tracklist. Printed on thin glossy, folded card the rear of the cover also has the track list on as well as the rear half-panel. This copy is a mis-print and has the track list for Paul Anka’s Greatest Hits (KMU 208) printed instead. Other copies exist with the correct cover. A happy coincidence as Anka wrote the English lyrics for “Comme d’habitude” that became “My Way”. 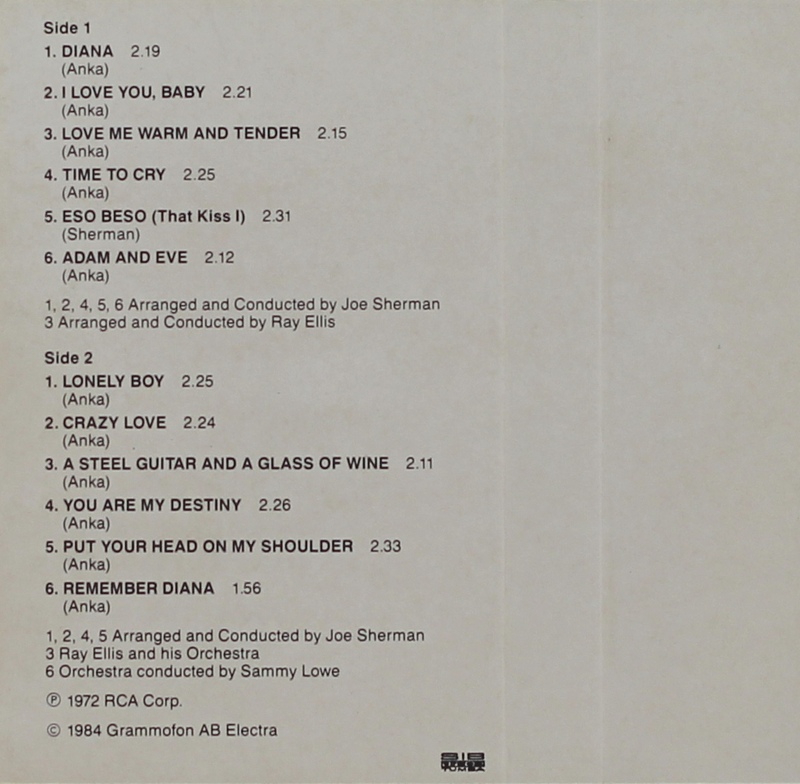 The lyrics were chosen over David Bowie’s offering (“Even A Fool Learns To Love”). Unperturbed he went away and wrote “Life On Mars?”. Black ink printed directly onto grey shell with ‘Music’ logo and ‘ncb’ rights. 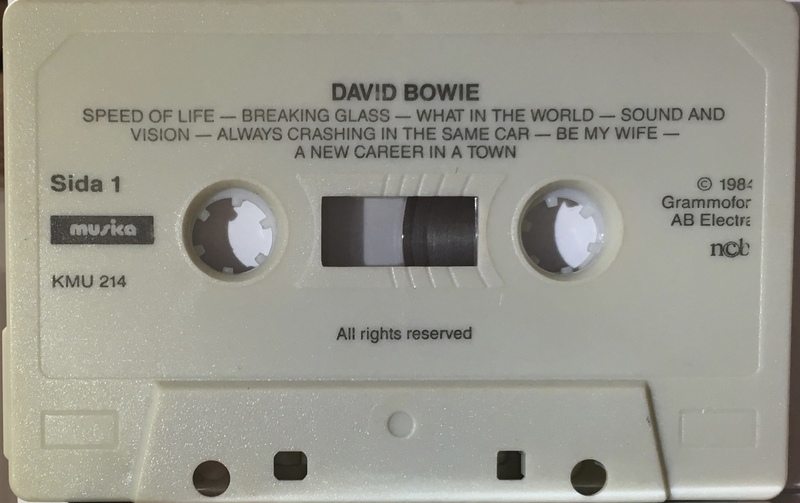 Side 1: Speed Of Life; Breaking Glass; What In The World; Sound And Vision; Always Crashing In The Same Car; Be My Wife; A New Career In A New Town. 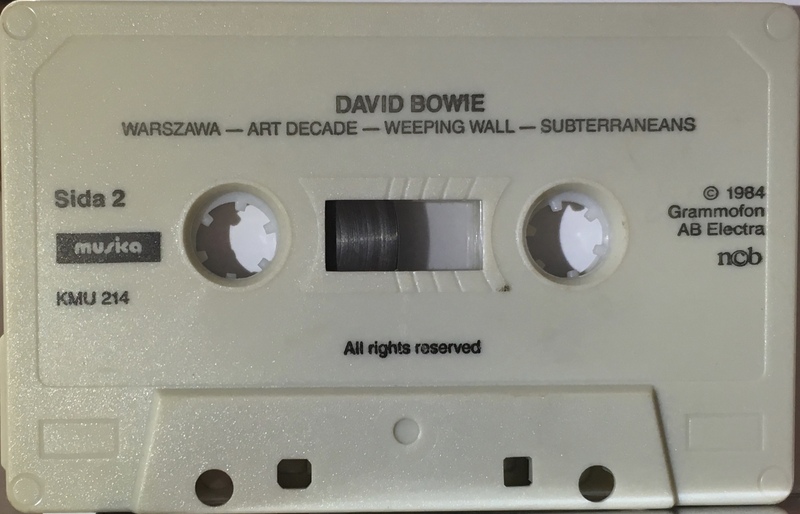 Side 2: Warszawa; Art Decade; Weeping Wall; Subterraneans.